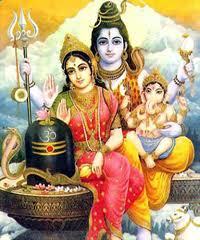 Mahashivratri Festival is also considered to be an extremely significant festival by women. Married and unmarried women observe fast and perform Shiva Puja with sincerity to appease Goddess Parvati who is also regarded as ‘Gaura’ - one who bestows marital bliss and long and prosperous married life. Unmarried women also pray for a husband like Lord Shiva who is regarded as the ideal husband.